Earlier this week, Apple came up with its new major update to its 11.1.2 iOS which was said to have many problems including random crashes. With 11.2 iOS which is the major update, Apple not only resolved the crashing problem but iOS 11.2 also came up with lot many interesting new features like, Apple Pay Cash, better wireless charging, refashioned Emoji’s for iPhone X and many others. The most applauded of all the amazing features is Apple Pay Cash which is currently available for US customers only. 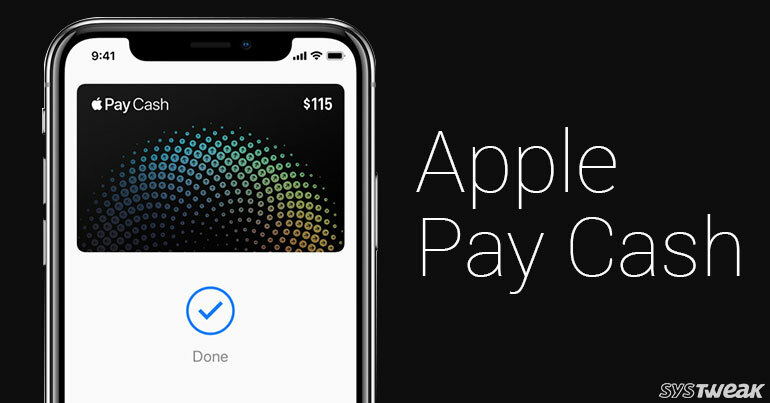 Apple Pay Cash directly competes with Square Cash and Venmo. It is a digital payment system using which you can send and receive money with your friends and family in a jiffy. You can also use Apple Pay Cash to pay at your favorite stores just like you do with any other credit card. Well, that’s not the end, you can also transfer money to your bank account using Apple Pay Cash. Make sure you have the latest iOS 11.2 version installed on your device. If not, navigate to Settings > General > Software Update. To use Apple Pay Cash, you should be at least 18 years of age and must be living in US. Sign in to your iCloud from the device you wish to send or receive money. Add Credit card or debit card to your Wallet to send money. Once all these prerequisites are fulfilled, the last thing you need to do is to agree to the Terms and Conditions. While accepting the Terms and Conditions you will also be asked to verify your identity. Now that you have accepted all the conditions and have passed the verification process, you can now send and receive money from you Apple devices. How To Set up Apple Pay Cash in Wallet? Note: Apple Pay Cash cannot be used for business related activities such as paying salaries to employees. So now that you have fulfilled all the prerequisites, you need to set up the Apple Pay Cash card in Wallet. Make sure you are signed in to your iCloud account with your Apple ID on the supported iOS 11.2 device. Navigate to Settings and click on it. Now scroll down to locate Wallet and Apple Pay and then click on it. In Wallet and Apple Pay look out for Apple Pay Cash card and follow the onscreen instructions to proceed. Once Apple Pay Cash card has been usefully set, you can now transfer money to your friends, pay while making purchases from stores etc.